Although, Coyote Ridge Vineyards is managed and cared for by Richard, his wife Carol and their two children, it is truly a family farm owned by the entire Radtke Family. The farm has been in the family name since 1963, and is now jointly owned by Rich and his two sisters. Until recently, the primary crops raised have been the small grain staples of the Midwest... with modest success. When Rich and Carol researched the Minnesota Grape & Hops Industry, they knew in an instant that Mother Nature had prepared the family farm for just that purpose. 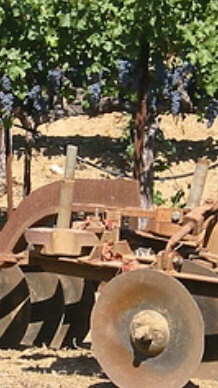 Several local wineries & home brewers in need of quality wine grapes and brewing hops.